The impending establishment of the European Central Bank (ECB) brings a dramatic transition: the introduction of a single European Community (EC) currency. The European Central Bank describes and analyses, from the perspective of the General Counsel of the Dutch Central Bank, the objectives and tasks entrusted to the ECB and the instruments with which the ECB has been endowed in order to carry out its responsibilities. proposes solutions to the difficulties which such a division may entail for the functioning of the European Community. The structuring of EC monetary authority as a part of a community based on respect for the law forms a constant theme throughout The European Central Bank. 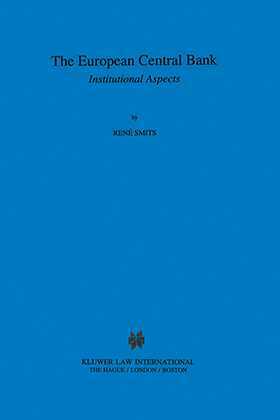 This work's critical, in-depth analysis; its thought provoking conclusions and summaries of problematic issues; and its clear, grounded structure all make it a particularly useful, scholarly examination of an important development in European and international law.